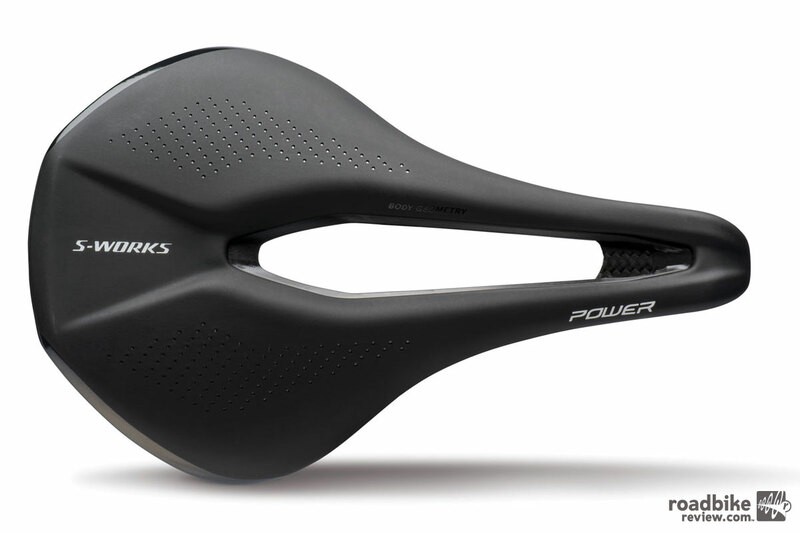 At first glance Specialized’s new Power saddle looks designed for the triathlon and TT crowd. 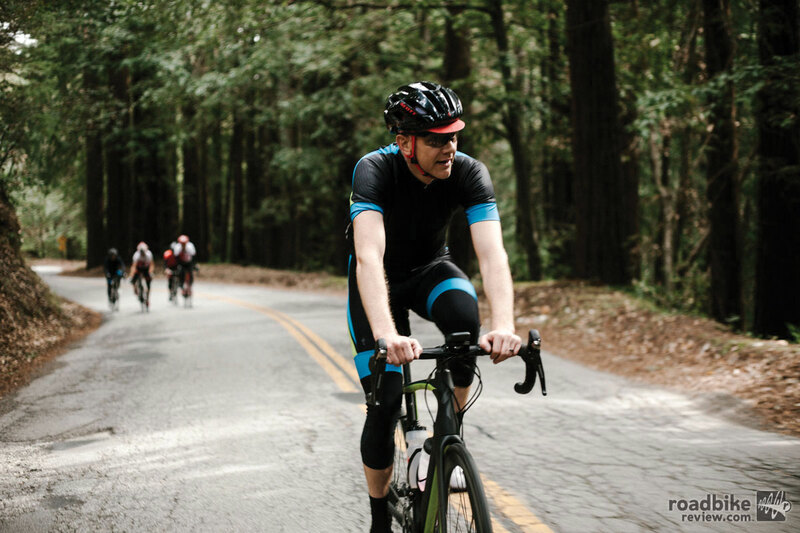 But the California-based maker of all things cycling insists this new short-nosed perch will be right at home atop road bikes, especially when that bike’s rider is going flat out in the drops. 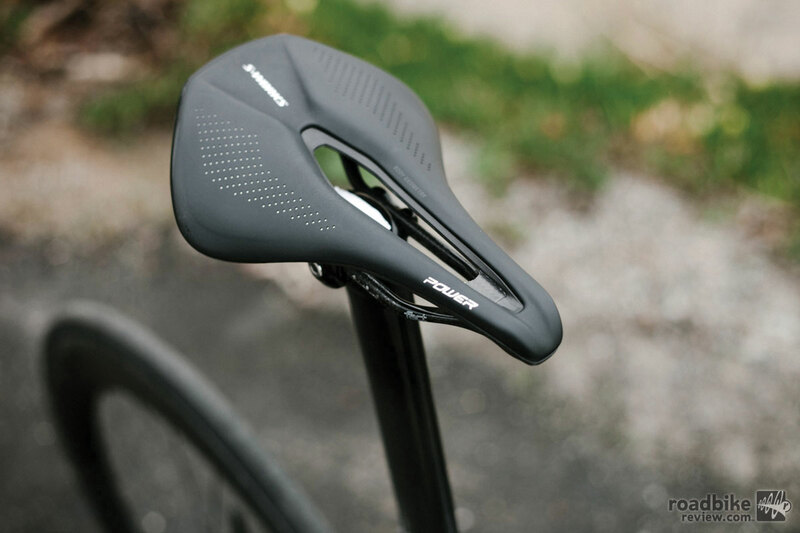 Indeed, the new Power saddle is designed to allow its occupant to go harder with less discomfort during extended periods in more aggressive and aero positions. It came about in part at the request of some of the Specialized supported pros, who complained or pain or numbness during extra long days of training and racing. Astana’s Lars Boom was already spotted running the saddle at Australia’s Tour Down Under. Specialized says its Body Geometry Fit engineers conducted extensive testing and blood-flow analysis, and concluded these issues were caused in part by the forward rotation of the pelvis while riding in a more aggressive position. 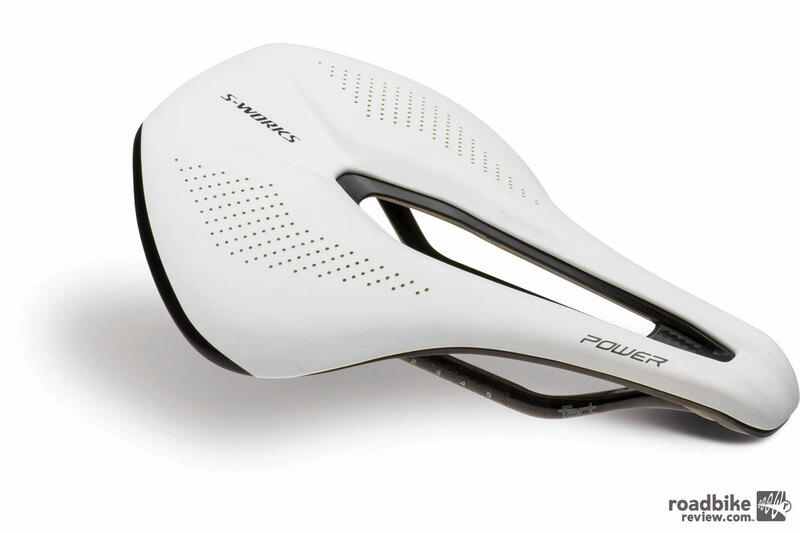 The Power saddle attempts to alleviate these problems — and maintain efficient power transfer — by employing a shorter nose and extra-wide, elongated center groove cut-out, while still offering proper sit bone support. 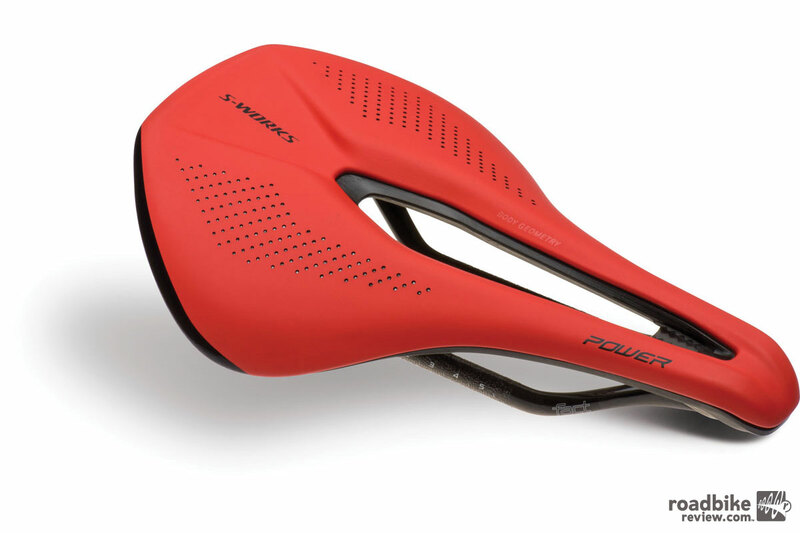 It takes these design cues from past Specialized saddles such as the Sitero and Phenom, and also borrows from the company’s women’s line. Pricing ranges from $100 for the Comp version to $300 for the S Works model. There are also Expert ($130) and Pro ($200) models. All versions are available in three width options (143mm, 155mm, 168mm). Our mid-sized 155mm S Works test model weighs a wispy 162 grams. 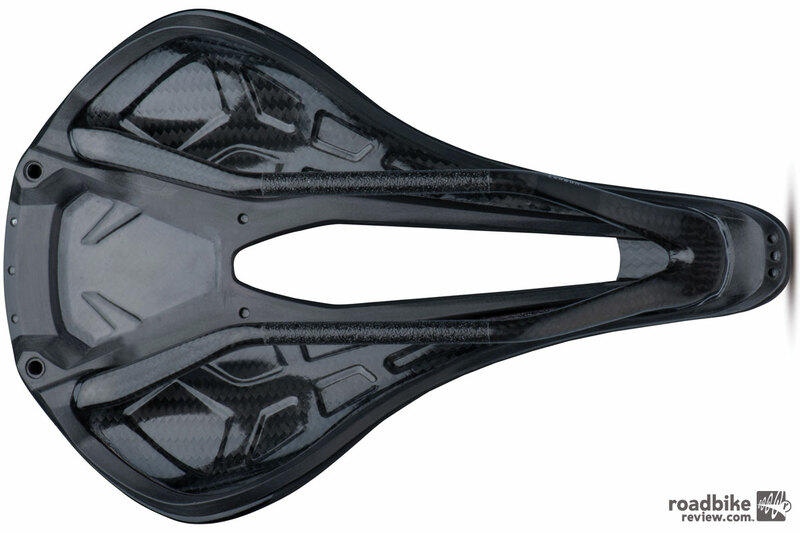 The Power saddle’s base is also new, featuring a super stiff FACT carbon fiber shell that’s tuned for support and ride compliance. Padding is lightweight and has a water resistant cover. And the rails on the S Works and Pro models are oversized 7x9mm FACT carbon, which shaves weight and adds stiffness, but is not compatible with seatposts equipped with side-load clamp mechanisms for 7mm round rails. The overhead view illustrates just how wide the center cut-out is. 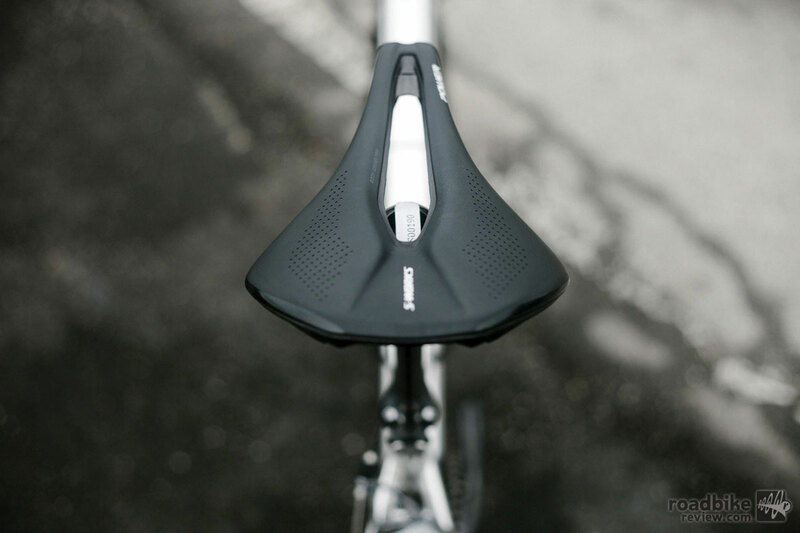 We got an advance look the saddle last month at a press event in Santa Cruz, California, and came away impressed. Despite its minimalist front end and large center cut-out, the saddle provided ample support during several extended rides on the area’s ever rolling roads. There was no sign of discomfort or numbness, even during a near 5-hour day on the bike with over 7,000 feet of climbing. The lone downfall is that with its shortened front end (about 30mm less compared to a traditional saddle), you cant slide forward during hard in-the-saddle efforts because there’s simply nowhere to go. We’ll continue testing the new saddle once things thaw out here at our Colorado HQ and follow up with a full review later in the spring. In the meantime check out www.specialized.com for more information. The rails on the S Works and Pro models are oversized 7x9mm FACT carbon, which shaves weight and adds stiffness, but is not compatible with seatposts equipped with side-load clamp mechanisms for 7mm round rails. The Power saddle’s base is also new, featuring a stiff FACT carbon fiber shell that’s tuned for support and ride compliance. … and white. Each model also comes in three sizes (143mm, 155mm, 168mm). 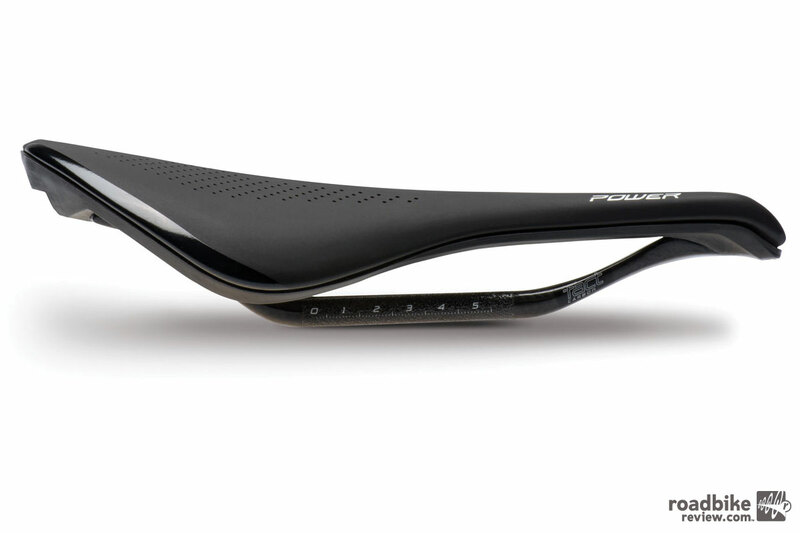 I can tell this saddle won’t work for me because it’s too wide at the midsection. Might work well for bigger guys with wider hips or women, but for skinny folks with narrow hips, this saddle will inflict pain down there. Implying that a short saddle designed for TT and road racing in the drops is actually better for big guys and women rather than skinny guys with narrow hips (i.e. most of the pro pelaton). I’m sure you know better than the experts who spent countless hours of research developing this. I agree with aclinjury’s comment on 3/4/15. I rode this saddle (143) for 135 miles this past weekend. The midsection ‘wing’ is too wide. Too much pressure on the inside, top of my leg pinched a nerve that affected my left foot to the point I had to dismount and walk a bit, three or four different times. The comfort level of the saddle otherwise is remarkable. I can see where it will be my all time favorite if I can fix the width issue. I’m thinking I may carefully apply some heat to underside ‘wing’ portion of saddle and try to reshape it a little bit….